This fully adjustable recumbent bike is a good entry level model to go with. It is one of the slightly more expensive recumbent bikes, but it is a good one that brings a lot of value to the table. The Marcy NS-716R Magnetic Resistance Recumbent Bike has a decent amount of resistance, it is durable and comfortable, and it is quite versatile too. 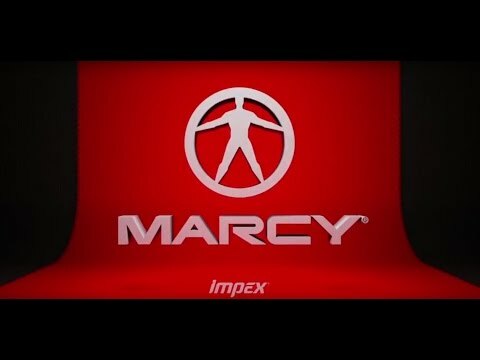 If you would like to find out a little more about the Marcy NS-716R Magnetic Resistance Recumbent Bike, you can always check out the little video presentation on it below. The Marcy NS-716R Magnetic Resistance Recumbent Bike does have a good number of features that are worth mentioning, so let’s do that real quick. When it comes to the size and weight of the Marcy NS-716R Magnetic Resistance Recumbent Bike, it is not overly large or heavy. It is one of the larger entry level models you can go with, but it is not nearly as large as some mid-range and high end models that you could choose. In short, the Marcy NS-716R Magnetic Resistance Recumbent Bike is not going to take up way too much space, plus it does come with wheels for easy transportation. The Marcy NS-716R Magnetic Resistance Recumbent Bike comes with an alright warranty. It comes with a limited 2-year warranty on the frame and parts. Many people have noted that the Marcy NS-716R Magnetic Resistance Recumbent Bike is extremely easy to assemble. It does not come with many parts that are not already put together, plus all of the tools and parts are included. The instructions are very easy to follow. It should take one person no more than 1.5 hours to assemble the Marcy NS-716R Magnetic Resistance Recumbent Bike. However, it is easier if you have someone helping. You can also get expert in-home assembly for an additional fee. Here﻿ is a link to the manual with included assembly instructions. There are a few specific things that we do really like about the Marcy NS-716R Magnetic Resistance Recumbent Bike, so let’s go over those in some detail. One of the things that we really like about the Marcy NS-716R Magnetic Resistance Recumbent Bike is that it is definitely built with durability and longevity in mind. It has a steel frame that is built to last, making it very strong, and giving it a user weight capacity of 300 pounds. The base of the Marcy NS-716R Magnetic Resistance Recumbent Bike is actually fairly wide, which helps to increase its overall stability. Another thing that we really like about the Marcy NS-716R Magnetic Resistance Recumbent Bike is that it features 8 levels of magnetic resistance. Magnetic resistance is great because it barely suffers from any wear and tear. Moreover, it provides you with a very smooth, constant, and quiet riding experience. The tension is easily adjustable with the control knob located below the display panel. Yet another thing that we love about the Marcy NS-716R Magnetic Resistance Recumbent Bike is that it is adjustable in terms of its length. Unlike some other models where the seat is adjustable, this model lets you adjust the length in between the seat and the front component. You can easily select the appropriate length to suit your specific size. We also really like how the seat of the Marcy NS-716R Magnetic Resistance Recumbent Bike is very comfortable. It features an ergonomically designed seat that is meant to provide you with adequate lumbar support. Moreover, both the seat and backrest are well-padded in order to keep you as comfortable as can be. The Marcy NS-716R Magnetic Resistance Recumbent Bike also comes with a nice high-quality LCD digital display. This display has the ability to keep track of things such as RPM, time, distance, speed, and calories burned too. There are a couple of minor issues that we see with the Marcy NS-716R Magnetic Resistance Recumbent Bike, so let’s just mention those quickly. One thing that we need to mention is that we would like to see something like a heart rate monitor for the price which the Marcy NS-716R Magnetic Resistance Recumbent Bike comes in at. Another thing that we don’t really like about the Marcy NS-716R Magnetic Resistance Recumbent Bike is that the seat is not adjustable. While some people like the adjustable length feature, we would like to see an adjustable seat, which is more convenient. So you can compare and contrast the Marcy NS-716R Magnetic Resistance Recumbent Bike to some other models, let’s take a quick look at some other good entry level recumbent exercise bikes. This is a great alternative entry level model to go with, and in fact is the one we prefer. The ProGear﻿ 555XLT Recumbent Bike is actually less expensive than the Marcy NS-716R, but it appears to have more features. The ProGear model has more resistance levels than this Marcy model, plus it has 3 workout programs which the Marcy NS-716R does not have. Moreover, we like the adjustable seat on the ProGear too. The one downfall to the ProGear model is that it has a 50 pound lower user weight capacity than the Marcy NS-716R Magnetic Resistance Recumbent Bike. The Sunny Health & Fitness SF-RB1117 Folding Recumbent Exercise Bike is another fine choice to go with. This model is significantly cheaper than the Marcy model discussed above. The Sunny Health & Fitness model is not as strong or stable as the Marcy, nor does it have as a high a weight limit. Both of these models have 8 levels of magnetic resistance and a decent LCD tracking display. However, the Sunny Health & Fitness Recumbent Bike stands out because it is much lighter, smaller, and can fold in half for compact storage. Overall, the Marcy NS-716R Magnetic Resistance Recumbent Bike is a fine choice to go with for people with a starter or moderate fitness level. It is a nice option that is durable, has a good weight limit, decent resistance settings, and is fairly comfortable too. For the money that you are spending on the Marcy NS-716R Magnetic Resistance Recumbent Bike, it definitely brings a fair amount of value to the table. Copyright 2019 © Fit&Me. All Rights Reserved.